Is anyone else sick of employers bleating that the minimum wage is hindering their business? They must think we’re all stupid. A few of them were on the BBC’s Any Answers on Saturday, saying the minimum wage keeps pay down, and that people can’t afford to go to work – especially if they live in London – because their housing costs are paid by benefits. This is nonsense. 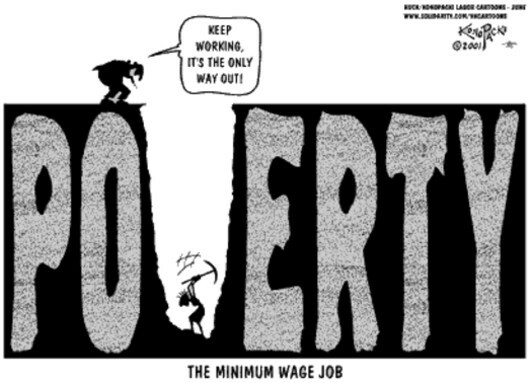 The minimum wage is exactly what it claims to be – a minimum. And if people aren’t getting up to work for it because benefits give them more, we can see that it is not enough. But let’s take this further: We all know that Landlord Subsidy is being restricted – especially in London, where landlords charge more than in the rest of the country. This means that people on low incomes in rented homes will be unable to pay the bills and will be forced to move somewhere cheaper (if they can find it), as intended by our extreme right-wing government. Where are all these minimum-wage employers going to find their minimum-wage workers then? Even that isn’t the limit of it, though. We know from such sources as the summer’s excellent Dispatches documentary on Channel 4 that employers have found ways around the minimum wage. They have taken people on as self-employed contractors who are paid a flat rate for a day’s work – no matter how long that work takes – and being self-employed, these people pay their own taxes and National Insurance, and get no time off for holidays or if they are ill. They have taken on workers on part-time contracts, meaning reduced or non-existent holiday and sick pay entitlements – and then boosted up their hours to full-time levels with fake ‘overtime’ offers. They have employed workers on zero-hours contracts, meaning they can demand an employee’s presence at any time and make them work for as long – or short – a period as required. Again, there are no tax administration obligations, NI, sickness or holiday benefits. The result is very nice for a government of liars such as the current Westminster administration, because it seems they have managed to increase employment (in fact the last figures showed unemployment is greater than at the end of the Labour administration in 2010, but by such a small amount that it’s not worth mentioning). Production, on the other hand, has remained flat. If more people are in work, it should have increased. That is how we know we are looking at a con. If more people are in work but production hasn’t gone up, we must question the incentive for this increased employment. It has already been mentioned: The lack of holiday and sick pay entitlement, National Insurance and tax admin obligations. The larger the employer, the larger the saving – but this doesn’t mean small firms aren’t feeling the benefit. The minimum wage worker’s income is topped up by benefits – but the government is cutting these back. Landlord Subsidy in London won’t be enough for people on the kind of contracts described here to stay in their homes, and this means a consequent job loss if they have to move out of the area. Tax credits are being removed; child benefit restricted. Universal Credit (if it ever works) will operate in real-time, adjusting benefits to ensure that low-paid workers remain in an income trap for as long as their wages remain below a certain level. Employers reap the benefits. But even they are being conned, because this can’t last forever. Imagine a Britain without in-work benefits but where the living wage has not been introduced nationwide (this will be a reality in a few years, under a Coalition or Conservative government). Workers on the self-employed, part-time or zero-hours contracts described here will not earn enough to survive. Private debt will increase exponentially, leading to increased mental illness as the stress of trying to cope takes its toll on the workforce. Physical illness will increase as people cut back on heating in their homes and food in their fridges and larders. Result: malnourishment and disease. What happens then? It’s hard to say. It may be that employers will take on increasing numbers of cheap foreign workers – but there is already resentment at the influx of immigrants from the European Union and this could lead to civil unrest. It seems likely that the largest firms will leave these shores. If we compare them to huge parasites – and we can – then the host will have been drained almost dry and it will be time to move on and find another to treat the same way. These are the companies who have reaped huge rewards from tax avoidance, aided by the ‘Big Four’ accountancy firms – KPMG, Deloitte, PricewaterhouseCoopers and Ernst & Young – who have been writing – into British law – ways for them to get out of paying their share. The smaller employers might keep going for a while or collapse; it depends how much their bosses save up for the inevitable crash. Deficit financing of their business will support them for a while but, if they don’t have any ideas, they’ll go under. All because a few very greedy people just won’t pay a reasonable amount for a hard day’s work. They get on the media, telling us they can’t afford higher wages. In that case, why are they even in business? If they need a workforce of a certain size, but cannot pay a living wage, then they simply should not bother. All they are doing, in the long run, is contributing to a monumental confidence trick that will cause immense harm to the economy and the nation’s health. Of course, the UK did not always have in-work benefits. People used to be paid enough to make ends meet. We should be asking why that changed and who benefits. A return to that situation would benefit the country enormously – but it isn’t going to happen on the minimum wage, and it isn’t going to happen on zero-hours contracts. It’s time to name these firms and ask bosses who employ on these terms why those contracts are necessary and why they feel justified in the damage they are causing. And while we’re at it, it’s time to ask our MPs why they tolerate it, too. Just one day after the TUC leader said the Coalition has broken the historic link between economic growth and rising household incomes, Labour has proposed a way to restore it. Since the recovery began, earlier this year, Vox Political has been pointing out its lack of impact on the poorest households in the UK – readily evidenced by the rise and rise of food banks across the country. This is because any profits are being funnelled up to those individuals who are already earning the most and – thanks to our bizarrely-slanted tax (avoidance) system – into tax havens. According to the BBC, Frances O’Grady told a conference yesterday that “households are being excluded from the benefits of growth. Unless this changes, the recovery will be meaningless to the vast majority of people across Britain. She said the government was “desperately short of solutions”. A Treasury spokesperson said the government’s economic plan (wait a minute! The government has an economic plan? When did they come up with that?) was “the only sustainable way to raise living standards” despite all the evidence to the contrary. This person also said the government’s plan was “slowly but surely working”, even though the economic recovery has nothing to do with any government action. 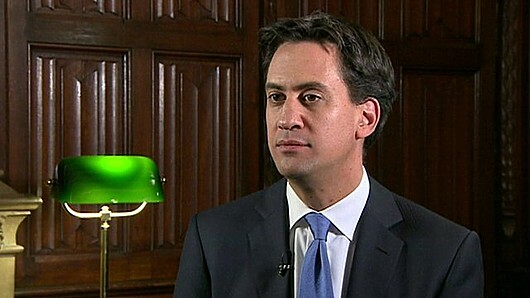 But today Ed Miliband, the Labour leader, unveiled a plan that made nonsense of the Tory mantra that the government is making work pay because, instead of cutting benefits to make it seem more desirable to have a wage (even though the amount earned is still a pittance), it will actually add cash to working people’s pay packets. There is a drawback, in that it means a Labour government will offer businesses a 12-month tax break if they agree to pay employees the Living Wage. A tax break is legalised tax avoidance, and we really have enough of that going on already, thanks to the efforts of the Big Four tax avoidance accountancy firms – KPMG, Deloitte, PricewaterhouseCoopers and Ernst & Young – who happen also to write UK tax law for George Osborne (because he doesn’t know how). But it’s only for a year while the Living Wage gets bedded in. It’s a stop-gap solution to lift workers out of poverty while Labour introduces long-term plans to re-balance an economy that has already been seriously damaged by three and a half years of crazy Conservative ideological pummelling. Who can predict the harm after a full Parliamentary term? And the Living Wage is becoming even more desperately-needed in the UK than ever, after a study showed the number of workers earning less than its £8.55 per hour (in London) and £7.45 per hour (elsewhere) increased by eight per cent in the last year (from 4.8 million to 5.2 million). Mr Miliband’s proposal means private firms would be able to claim back about one-third of the cost of raising their staff members’ wages to the Living Wage. This would be good for the government as it would save money on benefit bills and tax revenues would rise. But costs to businesses would increase. While these could be absorbed by larger companies, smaller firms might struggle to stay afloat. It is possible, though, that the wage rise would reinvigorate previously-downtrodden workers (as Vox Political has suggested in the past), giving them a sense that they are valued and a reason to invest their energy in the company’s success. It has been rumoured that V for Vendetta ‘Guy Fawkes’ masks are to be banned from large-scale public demonstrations in the UK. They have already been banned in Bahrain and Saudi Arabia. The masks were adopted by the loosely-affiliated protesters Anonymous as a clear indication of members’ feelings towards a Conservative/Liberal Democrat Coalition government whose actions, they believe, have been increasingly fascist. These people have a point. 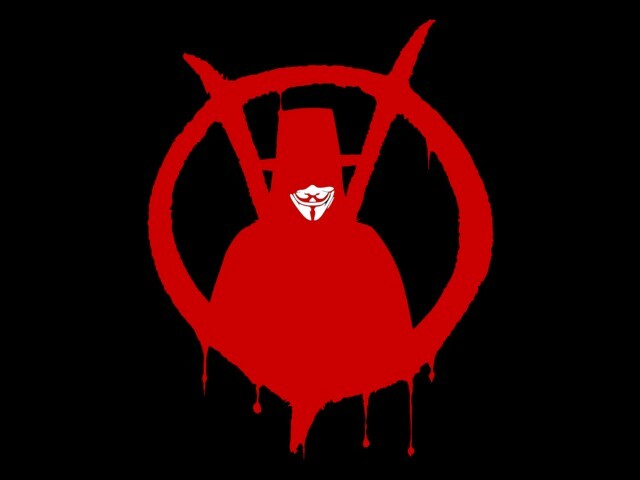 Has anyone read V for Vendetta lately? An early chapter, ‘Victims’, provides the historical background to the fascist Britain of the story – and provides very disturbing parallels with the current government and its policies. In the story, there is a recession and a nuclear war. Fortunately, in real life we have managed to avoid the war (so far) but the recession of 2007 onwards has caused severe hardship for many, with average wages cut by nine per cent (in real terms) due to government policies. In the story, the line “Everybody was waiting for the government to do something” is notable. Isn’t that just about as British as you can get? As a nation, we seem unwilling to take the initiative; we just wait for someone else to do something. We queue up. And then we complain when we don’t find exactly what we wanted at the end of the queue. But then it’s too late. Here’s another parallel. How many corporations are enjoying the fruits of the Conservative-led (right-wing) government’s privatisation drive? Look at my IDS (I Believe) video on YouTube – which features only a tiny minority of those firms. The NHS carve-up signified huge opportunities for firms like Circle Health and Virgin, and Bain Capital (who bought our blood plasma supplies). Care UK, the firm that famously sponsored Andrew Lansley while he was working on the regressive changes to the health service that eventually became the Health and Social Care Act 2012, no doubt also has fingers in the pie. The Treasury is receiving help – if you can call it that – from the ‘big four’ accountancy firms – PricewaterhouseCoopers, Deloitte, Ernst & Young and KPMG. They have written the law on tax avoidance. By no coincidence at all, these are the firms that run the major tax avoidance schemes that have been taken up by businesses and rich individuals who are resident in the UK. For more information on the government’s attitude to taxing the rich, see Michael Meacher’s recent blog entry. The Department for Work and Pensions has employed many private firms; this is the reason that department is haemorrhaging money. There are the work programme provider firms who, as has been revealed in previous blog entries, provide absolutely no useful training and are less likely to find anyone a job than if they carried on by themselves; there are the IT firms currently working on Universal Credit, about which Secretary of State Iain Duncan Smith lied to Parliament when he said he was having to write off £34 million of expenditure – the true figure was later revealed to be closer to £161 million, almost five times as much; there are Atos and Capita, and probably other firms that have been hired to carry out so-called ‘work capability assessments’ of people claiming sickness, incapacity and disability benefits, according to a plan that intentionally ignores factual medical evidence and places emphasis on a bogus, tick-box test designed to find ways to cut off their support; and there is Unum Insurance, the criminal American corporation that designed that test, in order to push British workers into buying its bogus insurance policies that work on exactly the same principle – this is theft on a grand scale. So we have a government in cahoots with big business, and treating the citizens – the voters – like cattle. We’ll see more of this as we go on. “Then they started taking people away… All the black people and the Pakistanis…” All right, these social groups have not been, specifically, targeted (yet) – but we have seen evidence that our government would like to do so. Remember those advertising vans the Home Office funded, that drove around London with a message that we were told was for illegal immgrants: “Go home”? 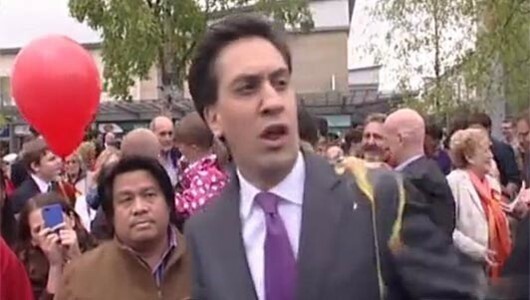 “That is a term long-associated with knuckle-dragging racists,” said Owen Jones on the BBC’s Any Questions. This blog’s article on the subject added that not only this, but other governments (like that in Greece) had created an opportunity to start rounding up anybody deemed “undesirable” by the state. “Greece is already rounding up people of unorthodox sexuality, drug addicts, prostitutes, immigrants and the poor and transferring them to internment and labour camps,” it stated. Note also the government’s response to criticism from UN special rapporteur on adequate housing Raquel Rolnik. Grant Shapps and Iain Duncan Smith and their little friends tried to say that she had not done her job properly but, when this was exposed as a lie, they reverted to type and attacked her for her racial origin, national background, and beliefs – political and personal. You can read the lot in this despicable Daily Mail smear piece. Back to V for Vendetta, where the narrative continues: “White people too. All the radicals and the men who, you know, liked other men. The homosexuals. I don’t know what they did with them all.” Well, we know what Greece is doing with them all, and in the story, such people also ended up in internment and labour camps. We’ll come back to that. Last month this blog commented on government plans for ‘residential Workfare for the disabled’, rounding up people with disabilities and putting them into modern-day workhouses where someone else would profit from their work while they receive benefits alone – and where the potential for abuse was huge. If that happens, how long will it be before every other jobseeker ends up in a similar institution? A while ago, a friend in the cafe I visit said that a Tory government will always see every class of people other than its own as “livestock”. That’s the word he used – “livestock”. From the above, with descriptions of people being treated like cattle, or being herded into the workhouse for someone else to profit from their work, it seems he has a very strong case. Her research stock are human beings who have been subjected to conditions similar to those of the Nazi concentration camps. Notice the language – this doctor considers the other human beings taking part to be her property. And they are “research stock” – in other words, she does not see them as other human beings but as livestock – exactly as the friend in the cafe stated. And jobseekers in today’s UK are being coerced into experimental drug trials, disguised as job opportunities, according to the latest reports. V for Vendetta‘s tagline – the blurb that set the scene – was: “Fascist Britain, 1997”. It seems the only part that its author, Alan Moore, actually got wrong was the date. Employment Minister Mark Hoban: His attempt to cover up the failings of the ESA Work Capability Assessment, and his nepotistic use of a former employer to rubber-stamp the cosmetic changes, bring all politics and politicians into disrepute. Who do you believe about the Work Capability Assessment? You may have missed this – because it hasn’t been reported widely in the mass media – but a quiet row has been running for several months, concerning the collection and use of medical evidence to support applications for Employment and Support Allowance, the benefit people taking the WCA have applied to receive. The government – whose spokesman appears to be Employment Minister Mark Hoban rather than Esther McVey, the Minister who is actually responsible for Disabled People – insists that decisions are made after consideration of all medical evidence supplied by claimants, and that they can provide further evidence during the reconsideration process or appeals. But there is a mountain of evidence that this is a load of bunkum. Back in 2010, an ex-military claimant, ‘Mrs S’ wrote a damning report on the service at the time. It stated: “This dangerous DWP contract offers the medical opinion of the Atos Healthcare Disability Analyst as a PRIORITY, which the DWP Decision Makers accept verbatim, so all additional specialist medical opinion of consultants, offered by the patient/claimant, is totally overlooked. Consequently, desperately ill people are now being declared fit for work because they are physically capable of collecting a pen from the floor. Patients, welfare advisors and MPs all presume that specialist medical opinion by a consultant will be accepted because they are unfamiliar with the details of the contract. “The contract requires specialist medical opinion for several conditions… This is routinely ignored by Atos Healthcare with devastating consequences, whilst the UK government offer total support for this private company. “Atos Healthcare doctors do not have access to a patient’s detailed medical history at the interview with the patient, as confirmed by Atos Healthcare, so one needs to question why so much detailed medical evidence is requested, which will be totally ignored? Get the picture? This situation has not changed in three years, despite the claims of Mr Hoban that he is “committed to ensuring that the Work Capability Assessment is as fair and accurate as possible”. On Tuesday (August 13), New Statesman published details of several Atos claimants with mental health problems who – surprise, surprise – have been let down by the system. One of these, who had previously attempted suicide, was driven to a further attempt to take her own life after receiving a string of 18 letters from a Work Programme Provider, all sent after it was advised to leave her alone for the good of her health. “The DWP said it would not investigate the matter because [the Work Programme Provider] has its own internal complaints procedure,” the article stated, before going on to report on how that worked. The company refuted the allegation and went on to say that it “takes its responsibilities to its customers and staff seriously. We have robust policies on safeguarding and data protection in place to ensure their privacy and safety is always maintained. With this in mind, it would be inappropriate for [us] to comment on individual any cases”. It is clear that there is a culture of unaccountability running right through this system; the only people who bear the consequences of Work Capability assessors’ actions are the claimants themselves. Perhaps that is why so many are dying that the DWP is now afraid to publish mortality figures for people going through the process. The suicidal person mentioned in the Statesman article would have been one more to add to the multitude, if they had succeeded in taking their own life. This is what your votes support – a state-sponsored drive for sick or disabled people to kill themselves, rather than continue to be a burden on a Conservative-led government. 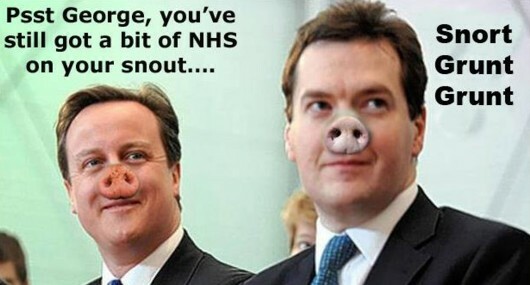 Compassionate Conservatism – and this is at its most compassionate. Let’s add in a few details. We know that the government recently lost a court battle in which it claimed that the current process was fair to people with mental health conditions. The Upper Tribunal disagreed and now the DWP is appealing against that decision – because ministers don’t want their underlings to have to consider medical information on anyone that hasn’t been gathered in the biased way ensured by the Atos Healthcare training system. “We already request claimants supply any evidence they feel will be relevant to the assessment in the ESA50 questionnaire,” the department said in an email quoted by the Statesman. But we already know from ‘Mrs S’ that this information is “totally overlooked”. It was in 2010 and we have no reason to believe the current situation is any different, judging from the treatment of claimants. Now it seems claimants are finding it harder to get the expert medical evidence they need, because GPs are either refusing to hand it over, or are charging more money for it than claimants receive for their personal survival. In southeast Wales, Bro Taf Local Medical Committee has come under fire for ordering GPs to stop providing support information to disability benefit claimants who were appealing against WCA decisions. The LMC has said its problem is not with the provision of evidence itself, but with the “increasing number of appeals [which] has resulted in more GP appointments being taken up to deal with such requests”. Hoban said last month that he was bringing in “additional providers” to carry out assessments from summer 2014 and had already directed Atos to improve the quality of its written reports following assessments. This will do nothing to improve matters, if the contract and the training given to the new providers is the same as that given to Atos. And he has engaged a company to “provide independent advice in relation to strengthening quality assurance processes”. This company is PricewaterhouseCoopers, Mr Hoban’s former employer. The connection with the Minister implies an inappropriate relationship from the get-go. Put it all together and you have an attempt to carry out business as usual, under the veil of a ham-fisted cover-up involving friends of the Minister. Anyone bothering to check the facts will see it as further evidence of the corruption that is rotting the institutions of British government with staggering rapidity under the Conservative-Liberal Democrat administration. But there is a worse effect, which has a bearing on all politicians: Even those who accept such announcements at face value will consider this to be a failure by government. “They can’t get anything right” will be the chorus from the Great Uninterested – and the continuing furore as mistakes – and deaths – continue to take place will only reinforce the view that we should not give any politicians the time of day. They would kill us all and call it “help”.